Filling up your new iPhone? Just hoping to make the one you already have even better? These are the apps you don't want to be without. 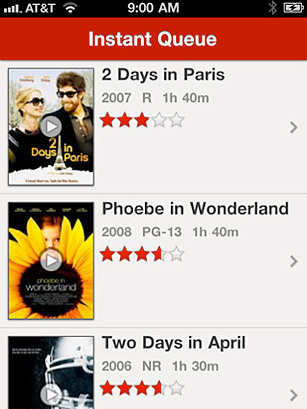 The Netflix app for iPhone comes on the heels of its iPad app, which was a monster hit. Subscribing to any of the monthly Netflix packages, which start at $7.99, gives iPhone users access to Netflix's instant streaming queue anywhere, even on a 3G connection (though a wi-fi connection provides a better experience). It's an ideal app for commuters or parents who want to keep their kids entertained on the go. One gripe: Customers can't update their DVD-by-mail queue within the app, a surprising omission. Let's hope that feature is part of the next update.